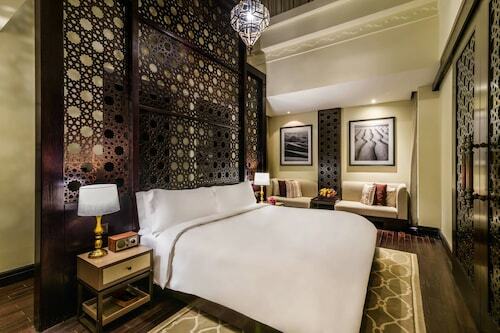 Book hotels in Ras al Khaimah Intl. 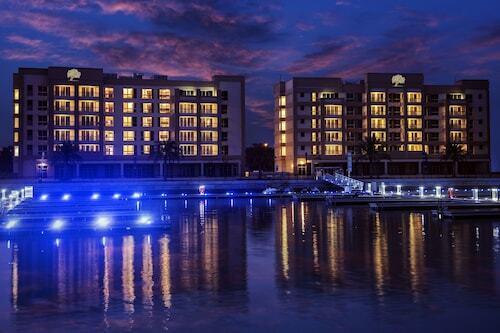 Featured Hotels near Ras al Khaimah Intl. Situated in Ras Al Khaimah, this resort is 4.3 mi (6.9 km) from Al Hamra Mall, and within 12 mi (20 km) of Khuzam Family Park and National Museum of Ras al Khaimah. Tower Links Golf Club is 11.4 mi (18.3 km) away. 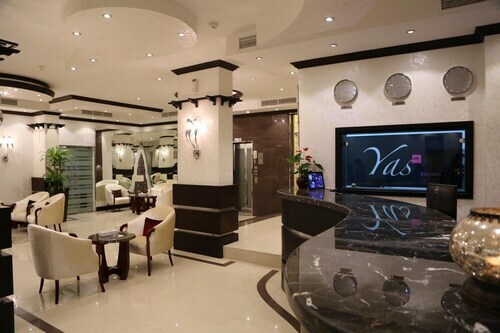 Situated in the suburbs, this spa hotel is 2.4 mi (3.8 km) from Al Hamra Mall and within 9 miles (15 km) of Iceland Water Park and Al Hamra Marina and Yacht Club. Dreamland is 11.2 mi (18 km) away. 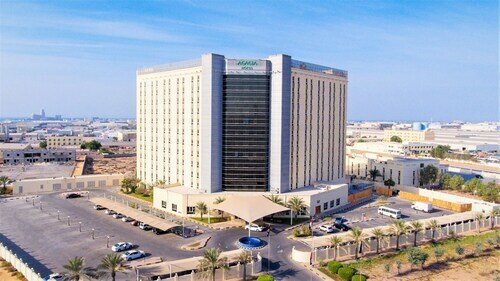 Located in Ras Al Khaimah, this beachfront hotel is in the city centre and within 9 mi (15 km) of Iceland Water Park, Al Hamra Mall and Al Qawasim Corniche. National Museum of Ras al Khaimah and Dhayan Fort are also within 25 mi (40 km). 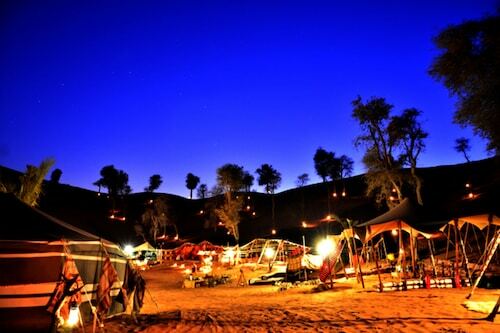 Situated in Digdaga, this luxury hotel is 0.4 mi (0.6 km) from Khatt Hot Springs and within 16 miles (25 km) of Tower Links Golf Club and Khuzam Family Park. Al Qawasim Corniche and National Museum of Ras al Khaimah are also within 20 miles (32 km). Located near the beach, this family-friendly hotel is within 16 mi (25 km) of Al Hamra Mall, Iceland Water Park and Al Hamra Marina and Yacht Club. Dreamland and Al Qawasim Corniche are also within 20 miles (32 km). Situated in Ras Al Khaimah, this spa hotel is within 6 miles (10 km) of Khuzam Family Park, Iceland Water Park and Al Qawasim Corniche. National Museum of Ras al Khaimah and Tower Links Golf Club are also within 6 miles (10 km). Situated in Ras Al Khaimah, this apartment building is 2.6 mi (4.2 km) from Al Hamra Mall and within 9 miles (15 km) of Iceland Water Park and Al Hamra Marina and Yacht Club. Dreamland is 11.5 mi (18.5 km) away. 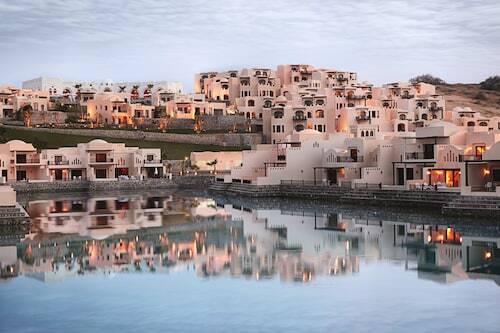 See all 33 properties in Ras al Khaimah Intl. Travel to Ras al Khaimah Intl.